The WSI are delighted to host an ex-augural lecture with Professor Susan Halford. The future is upon us, or so it seems. Not for the first time, and surely not for the last, bold and far-reaching claims are being made about how new technologies will change the world. Artificial intelligence will solve previously intractable problems – climate change, cancer and inequality – or, alternatively, will lead to the downfall of the human race. The reality of course will lie somewhere in between. Where, exactly, is far from inevitable. At present, our capacity to intervene in these potential futures is limited by the separation of expertise into discrete disciplines within the Academy, and beyond. This talk proposes a Web Science approach to digital futures, in three parts. First, it builds on social science theory to establish a sociotechnical approach to the future. This insists that how we think about the future, in the past and the present, shapes how particular futures will emerge. Second, it evaluates current thinking about AI futures to find gaps and uncertainties that offer promise for intervention. Third, it considers how we might approach AI futures differently, to challenge determinism through speculative design, inclusive capacity building and public dialogue. If these are to become the foundation of a new collective ‘response-ability’ in the digital age they must be underpinned by interdisciplinary Web Science. Professor Susan Halford, Bristol University, has a long-standing commitment to interdisciplinary education and research, for the past decade in particular across the social and computational sciences. She is well-known for her work as an organizational sociologist, in which she has explored the dynamics of organizational change with particular reference to gender identities and power relations, also to ageing and - linking both - to the sociotechnical practices and effects of digital innovation in the workplace. 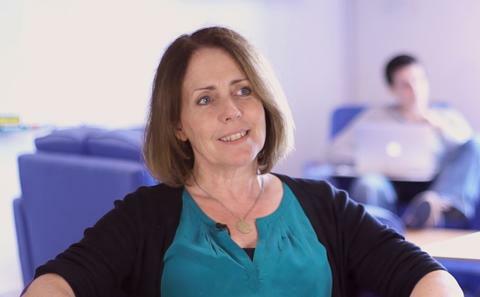 Since 2008 she has played a central role in the development of interdisciplinary ‘Web Science’, as a space where new forms of collaborative knowledge about digital data, methods and architectures may be pioneered. On a broader landscape, her work explores the politics of digital data, artifacts and expertise, with a focus on the place of Sociology in these new knowledge assemblages. She has recently been awarded an Economic and Social Research Council grant to explore if and how semantic linked data might be used for social research. In the UK, Susan sits on the Engineering and Physical Sciences Research Council Programme Advisory Board, on the Cabinet Office Digital Government Partnership, and is a member of the Advisory Board for the International Social Media and Society conference.